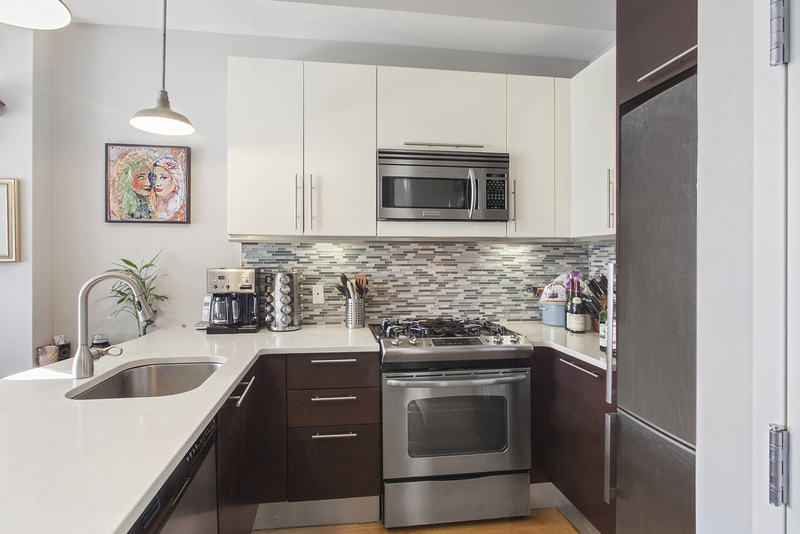 Singularly chic yet punctuated by the raw industrial undertones echoing its history, this residence encapsulates the raison d'etre of Brooklyn. 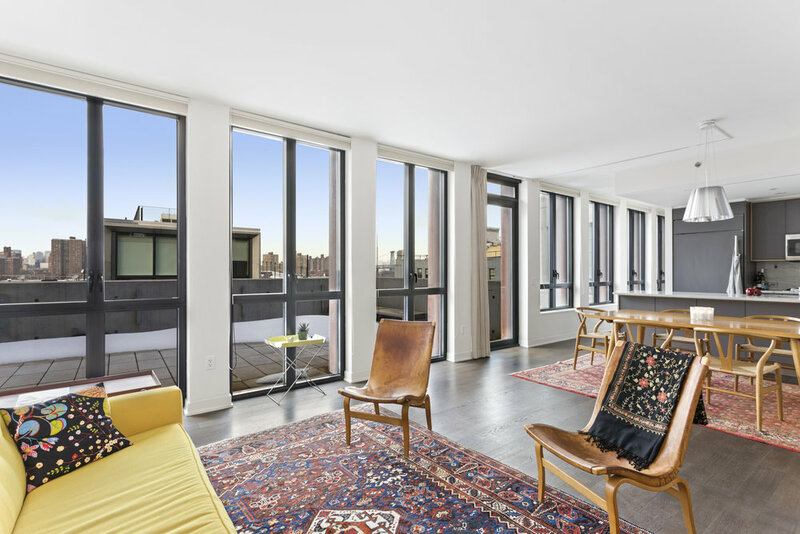 A wall of windows and glass doors face the private terrace with East River and Manhattan as a backdrop. 10' high ceilings, wide Swedish plank oak flooring and expansive sunrise views create a warm and inviting environment for living and entertaining. The chef’s kitchen features polished Luce de Luna Quartzite countertops, integrated Subzero refrigerator, Thermador oven/cooktop, wine cooler and Insinkerator. 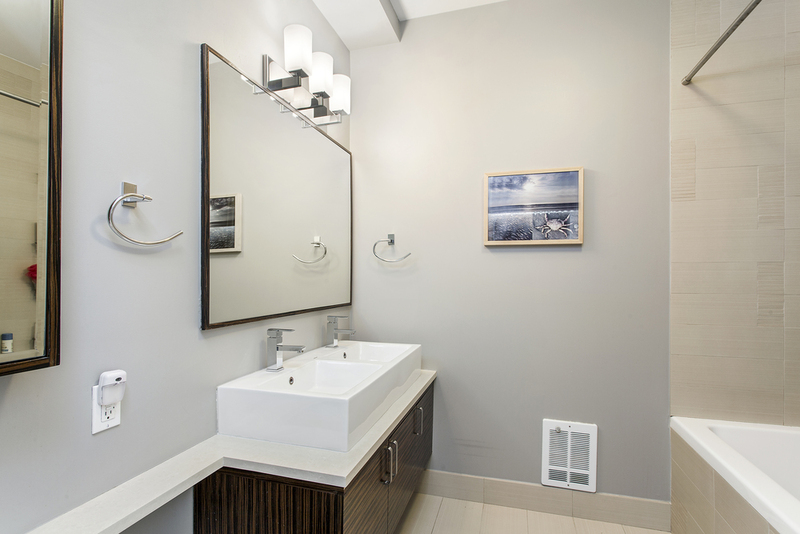 The ensuite master bedroom has a walk in closet and a well-appointed master bath. Master bath and second bath both have walnut vanities with white Carrara marble countertops, Italian porcelain floors and textured natural stone accent walls. 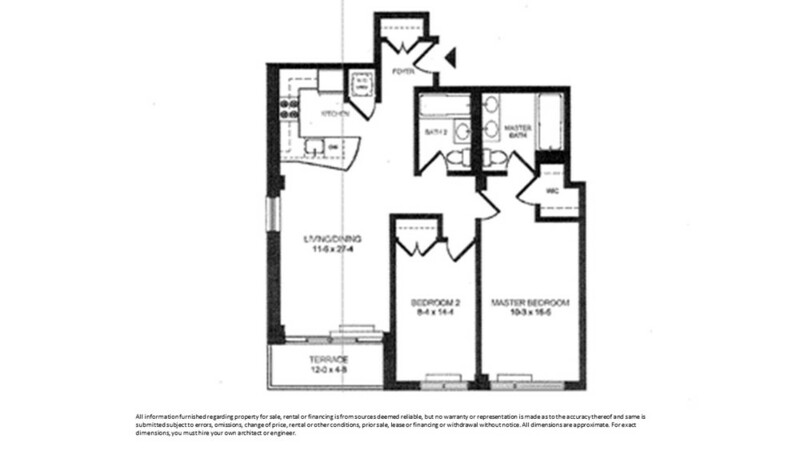 The Second bedroom features a large double door closet and immediate proximity to the 2nd bath with soaking tub. 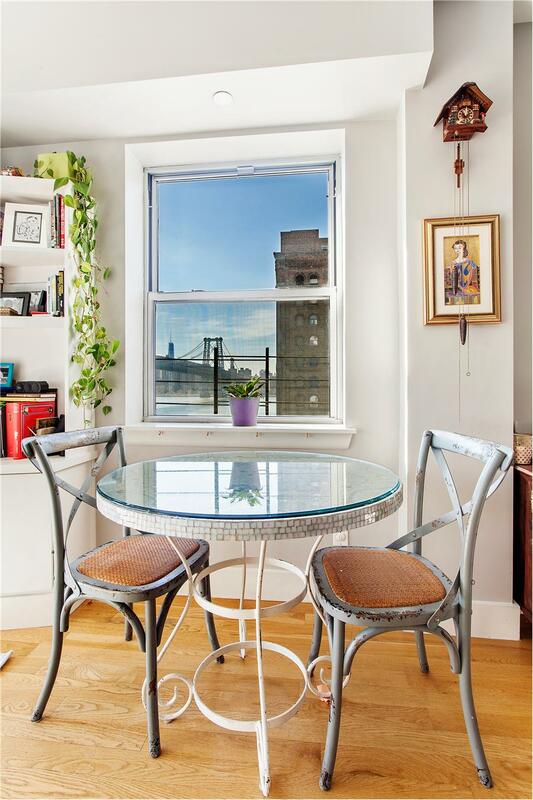 This bright and airy corner apartment is located right in the most exciting part of Williamsburg. The balcony is overlooking a waterfront public park and promenade that is being built right now and will be finished 2018. 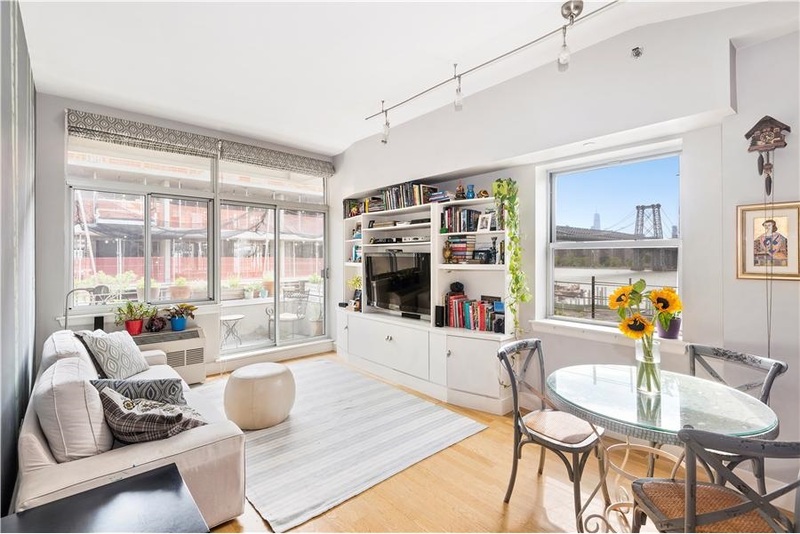 Commuters: enjoy easy access to the JMZ and L trains, Williamsburg bridge pedestrian and bicycle paths, and the East River ferry at multiple locations. 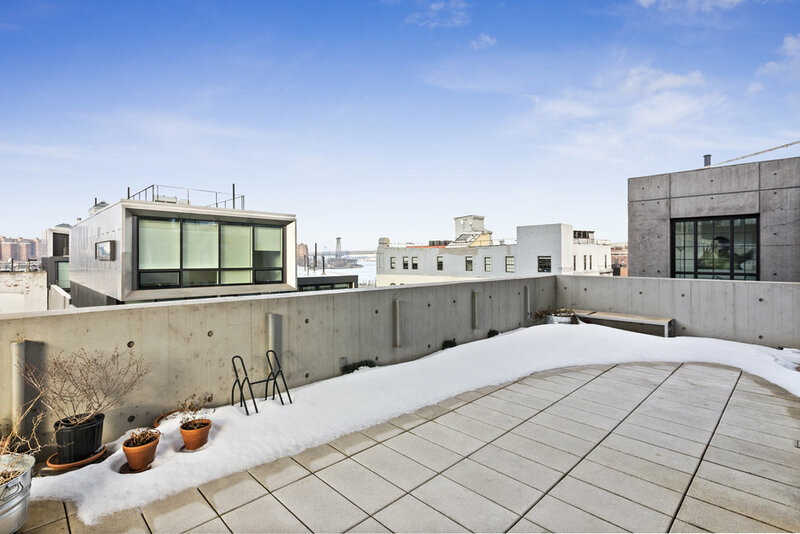 This home offers a comfortable 2 Bedroom - 2 full Bath layout with private balcony, brilliant light and open views from 5 oversized windows, some of which are floor to ceiling. A separate entrance foyer leads to a spacious Living/Dining room bathed in natural light with 10 foot ceilings and oak floors. The open chef’s kitchen with custom cabinets and ceasarstone countertops, enjoys light and view and is ideally laid out for cooking and entertaining. The Master Bedroom suite is a sanctuary with a walk in closet and a tasteful double sink bathroom with waterfall shower. The Second Bedroom offers a large fitted closet and easy access to the second full bathroom. There is a private storage downstairs and even better, there is 20 more years of tax abatement, where you only pay $29.33/month!"